What is it like to find in a job that you do not like? Is it worth it to continue or to find a career that fits you and your personality? Can a person truly survive living in between various employers? Will an individual learn and grow from this experience? Everyone goes through times when they are not satisfied with their current work situation, or are looking for something better that fits their needs, such as owning a new house with the possibility of getting married in the near future. 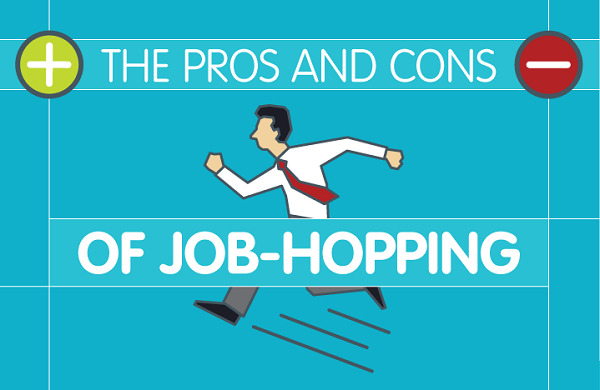 Pros and cons are present when it comes to changing vocations and are worth noting. 1) One could face having little money to pay for bills and to survive. For example, if he or she has at least $5,000 left in their savings account, and spends all of it, then he or she may lose everything. This can easily become devastating, especially if one does not have much to begin with when it comes to changing professions. 2) Employers may frown upon changing jobs and ask why. If the Human Resource Manager sees an individual's resume', and he or she was there for a certain period of time; the issue will arise when management wonders why the person left after working at that specific organization for a short or long time. 3) Resume' could become lengthy based due to education and experience. This could hinder a person from gaining a job quick when much is reported on their application for employment with any firm tat is available. The average length recommended is two to three pages. 4) Only have one skill, and a lack of others not developed. An instance of this is when a person has worked as a secretary, and only has the skill of working a phone; whereas, in our society today, people need to have the capabilities of working on a computer, internet, Microsoft Office, and to know at least one foreign language too. 5) A person could risk not having work for a short or long period of time. When someone is out of work then the individual faces having to file unemployment and will eventually have to pay it back to the government. 6) The individual can get a job that fits them best in their chosen field. If one studied management, then he or she is able to possibly become a CEO of a company of their dreams. This can apply to any other chosen occupation that is available in the world today. 7) He or she will have dignity and respect from their peers and co-workers. Sometimes all it takes is getting treated well for a person to stay at a company longer, but this is at his or her discretion. 8) A pay raise could easily occur. When an individual goes from $15 an hour, and is able to find a job that pays twice that much, then he or she feels elated, and is more likely to stay in that organization for many years to come. 9) One will get to relocate to another part of the world. Any person seeking to live in another part of their country or in another one is exciting for him or her, and is usually more willing to go through the loopholes to make it possible. 10) An opportunity to meet new people. This is an opportunity to get out of their comfort zone and to try something very stimulating. When he or she takes part in this endeavor, then they are likely to want to learn and grow from their experience and maybe keep pursing it by meeting others. As one can tell, many pros and cons are available when it comes to changing careers. They are both equally the same, so it is up to the individual to make a wise decision. In the end, the goal is for everyone to benefit, so that job satisfaction rises, and family and friends continue to remain supportive through the entire process.